Looking to train harder, run faster, get stronger and overall get better? First off, you’re probably going to want to change up what kind of music you have playing on that playlist while you’re getting physical. A study done in Australia has revealed information about the subject, which may have you second guessing what kind of music you listen to. According to the study, the best genre that can get you out there to put in work in your sessions, is actually pop music. In second comes heavy metal, which shouldn’t come as a strong surprise. For those who like to listen to classical music or reggae to pump them up, you may be doing the exact opposite, as these are kinds of music that will actually giving you calming effects. Over the course of just a couple of days, researchers worked with varying genres, on different days, to see what kinds of results they’d end up with. Looking at the results, they found that up tempo’d beats were more likely to make you get faster, with slower beats creating a slower pace. So there you have it, harder beats for harder training! 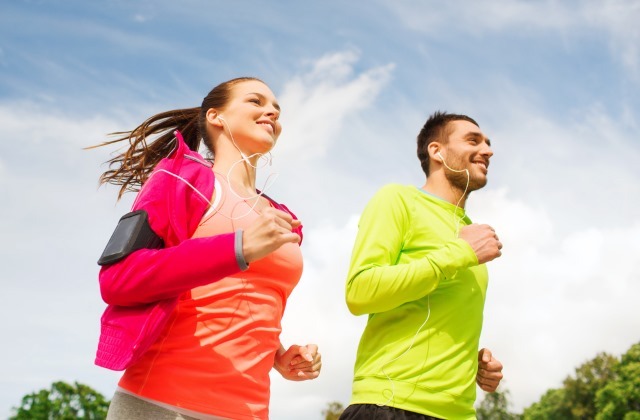 You may want to reserve those slow songs for times that you want to relax instead of pumping you up for your runs.